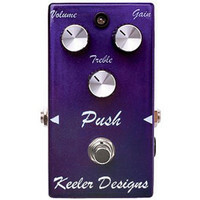 The Push pedal by Keeler Designs is the ultimate grab and go overdrive pedal. It has three controls Volume Gain and Treble. 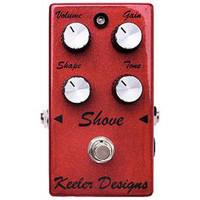 The Shove pedal by Keeler Designs is the ultimate distortion pedal. 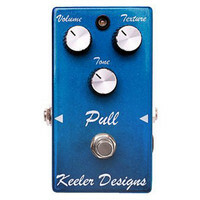 The Pull pedal by Keeler Designs is the ultimate low gain overdrive pedal. 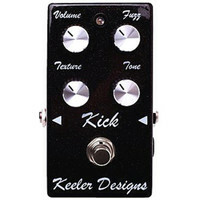 It has three controls Volume Gain and Tone.